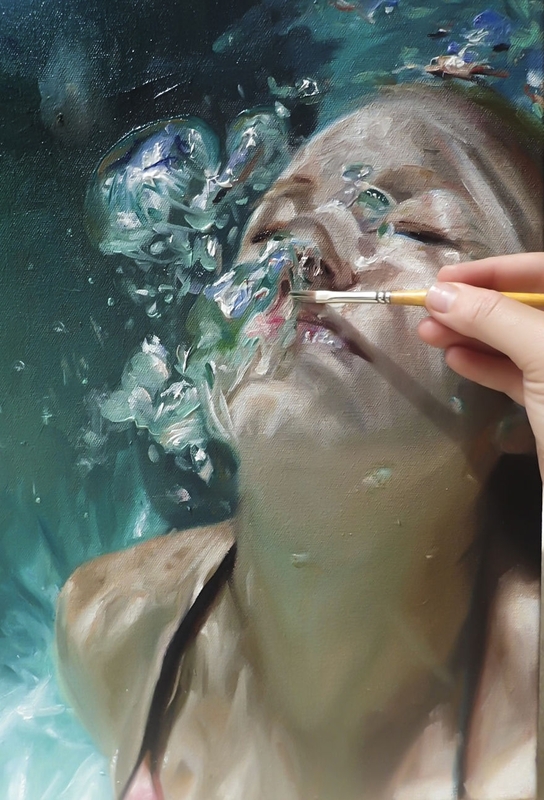 Photo like paintings, where movement is suspended, whilst the protagonists frozen in time. 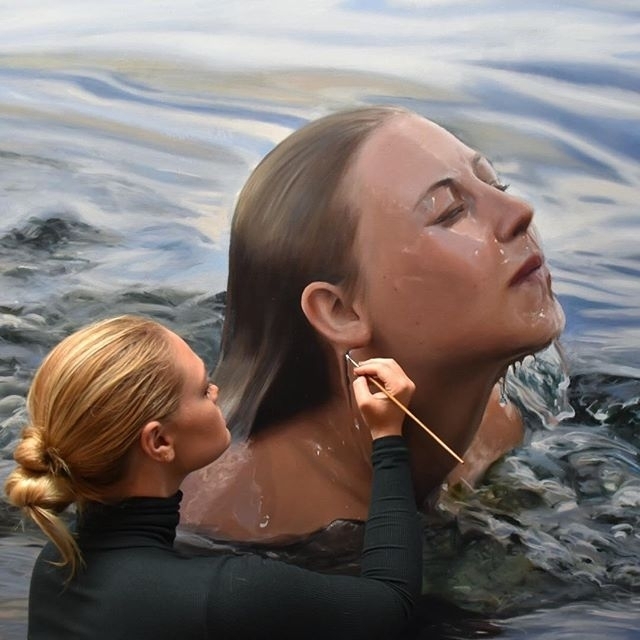 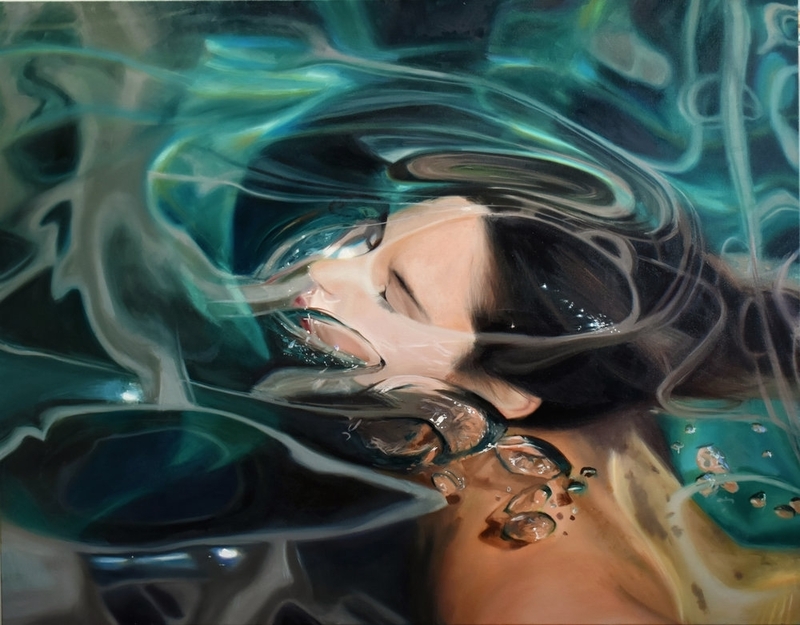 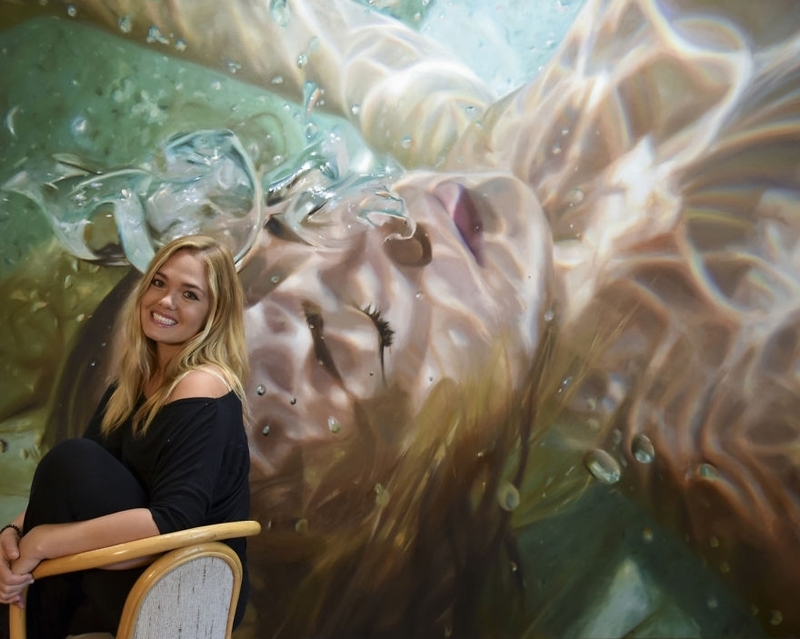 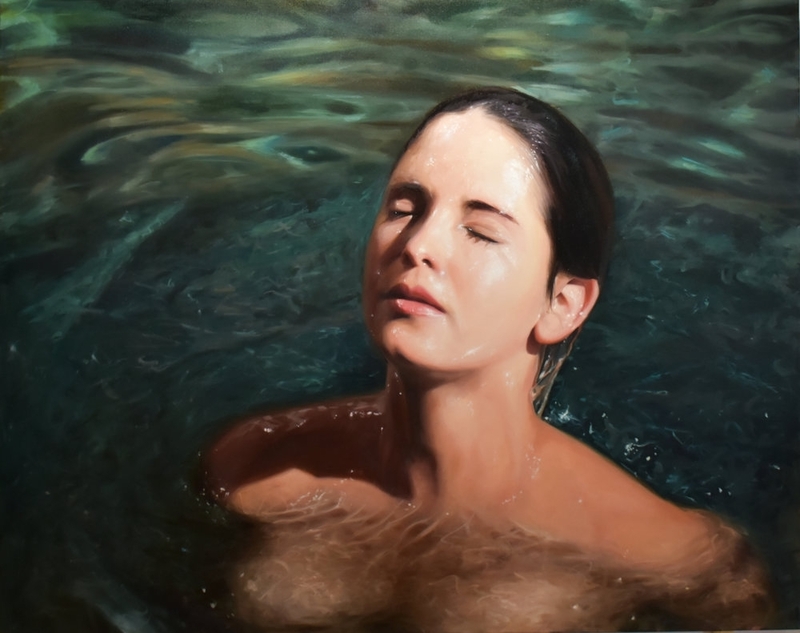 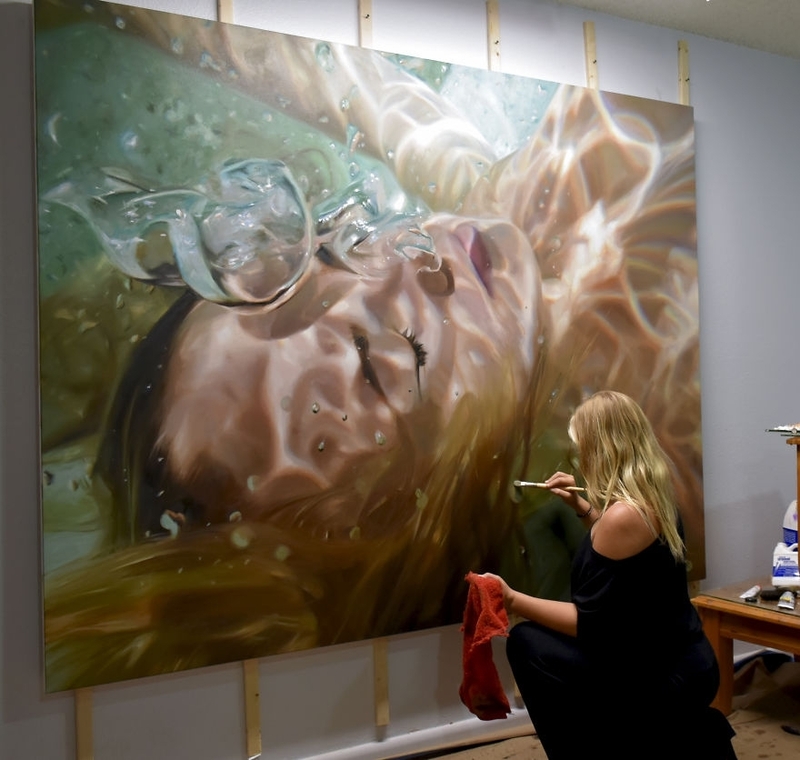 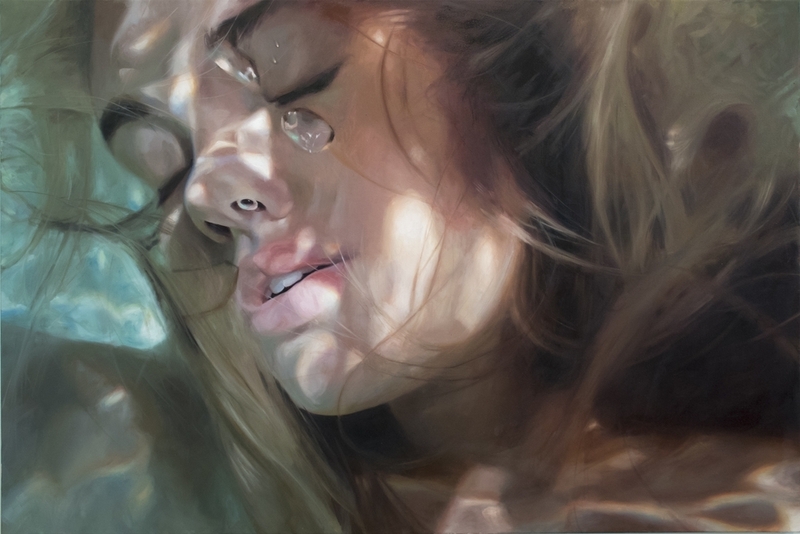 American Artist Reisha Perlmutter was born in Naples, Florida, USA, which goes somewhat to explain where the inspiration came, for her water paintings. 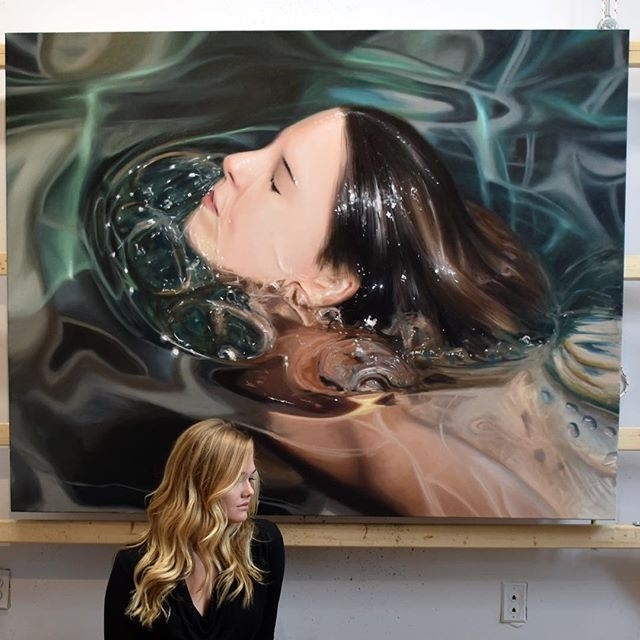 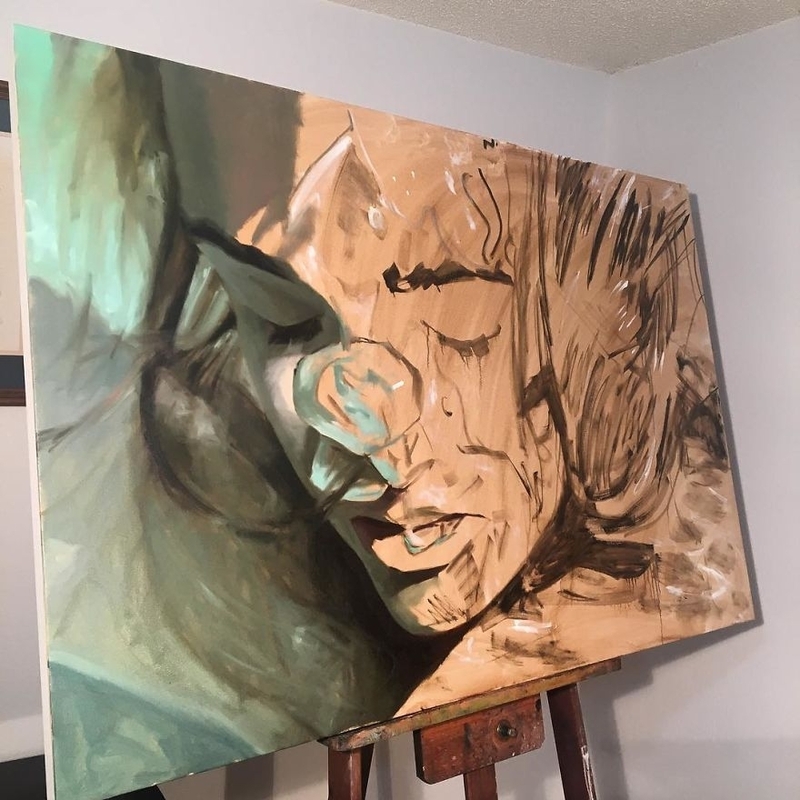 Her studies have taken her to different parts of the US, with a residency in Italy and a study period between her undergraduate and graduate degrees, where Perlmutter studied classical French atelier painting and drawing at Studio Escalier in Paris and in the Loire Valley.